Welcome to Danita's Back To The Future Website! 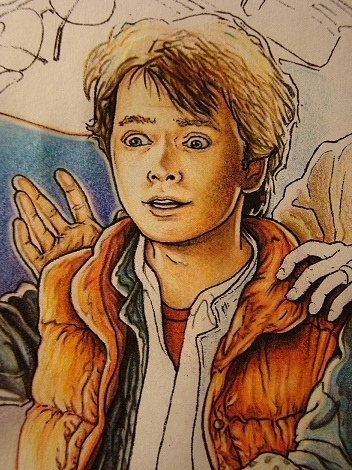 Here you willl find a variety of fanart based on the Back to the Future Trilogy as well as other Michael J. Fox film and television projects. I hope you enjoy your visit, and if you have any comments, feel free contact me or sign the guestbook. - Welcome! I assume many of you are aware that I have not updated my website for quite some time. However, I thought you should all know, that I am making a new piece of fanart that will be based on Back To The Future 'The Game', by Telltale Games. Please stay tuned!! !